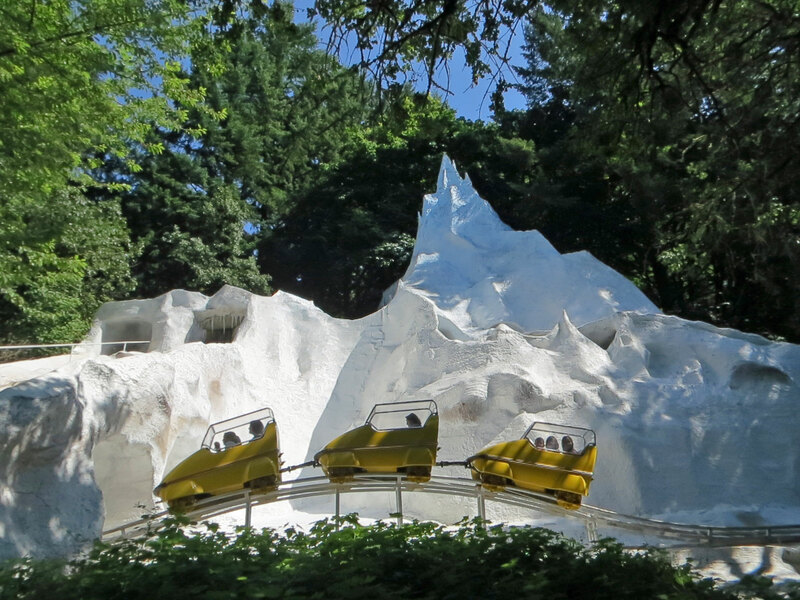 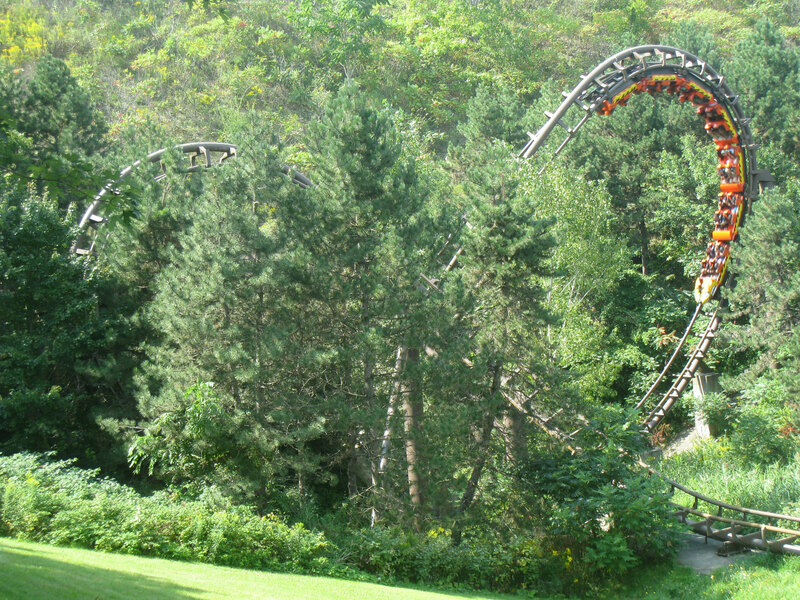 A terrain coaster follows the contours, and flow of the area it’s built on. 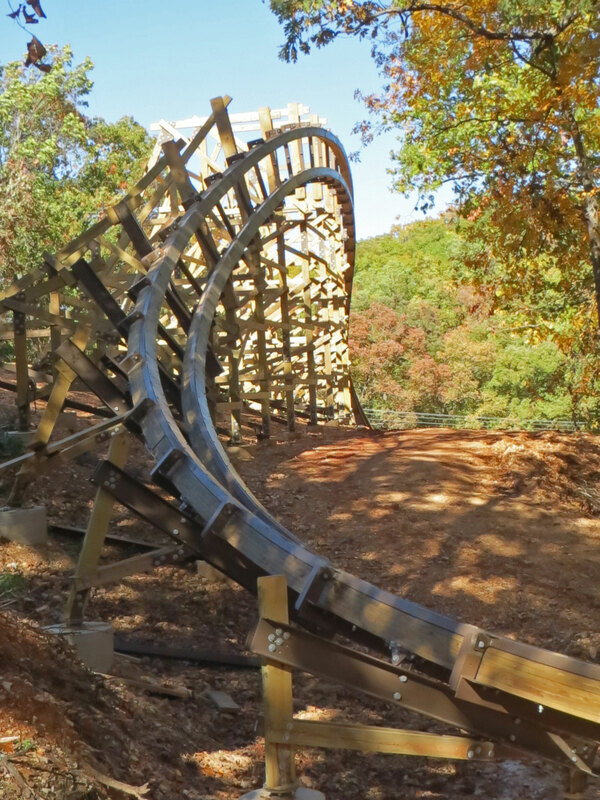 Wood is particularly suitable for this due to the amount of flexibility you can build into the track. 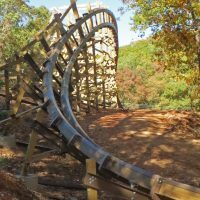 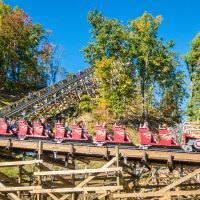 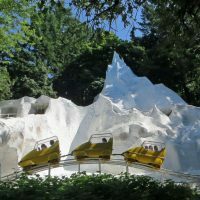 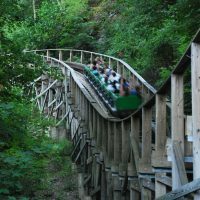 A terrain coaster will rarely be more than a few feet off the ground, and offers a high speed thrill ride close to both ground and scenery. 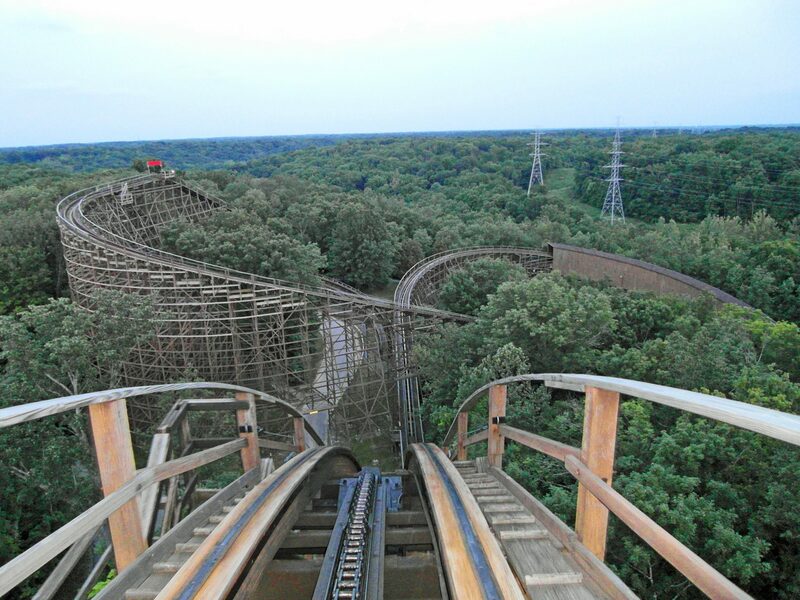 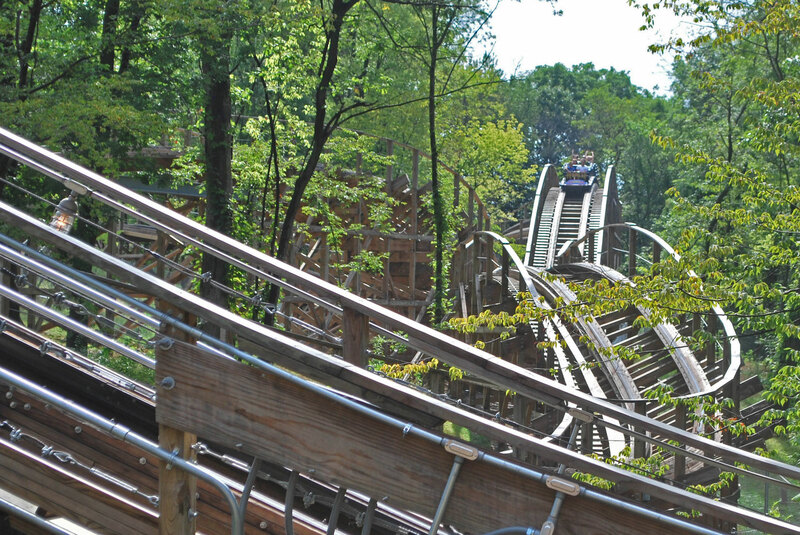 Like their wooden counterparts, there are also a variety of steel terrain coasters. 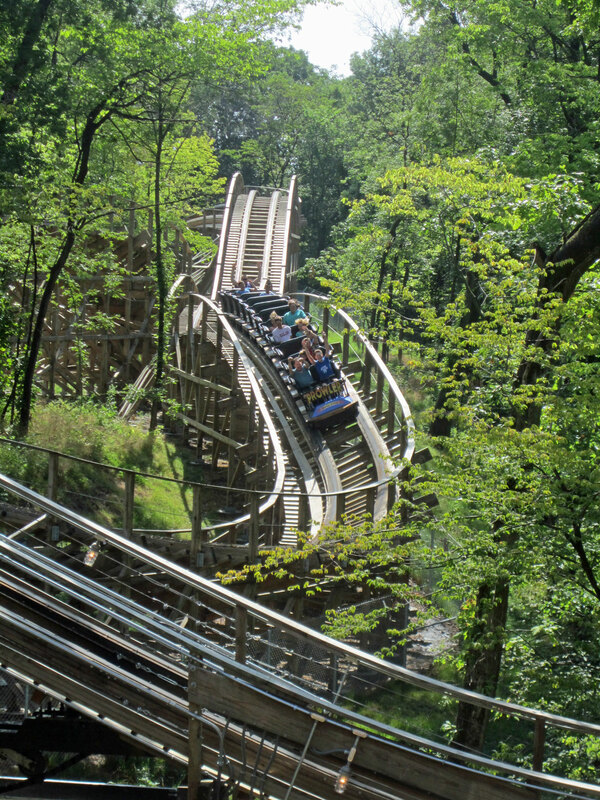 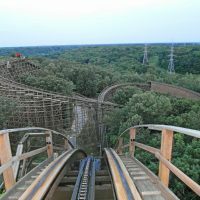 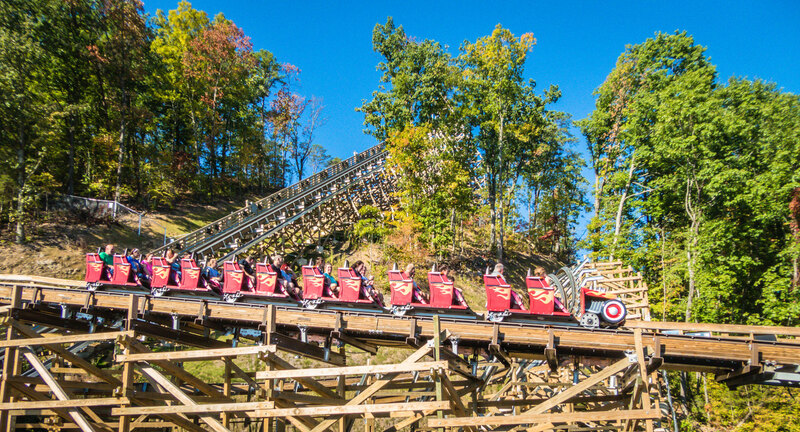 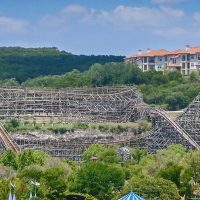 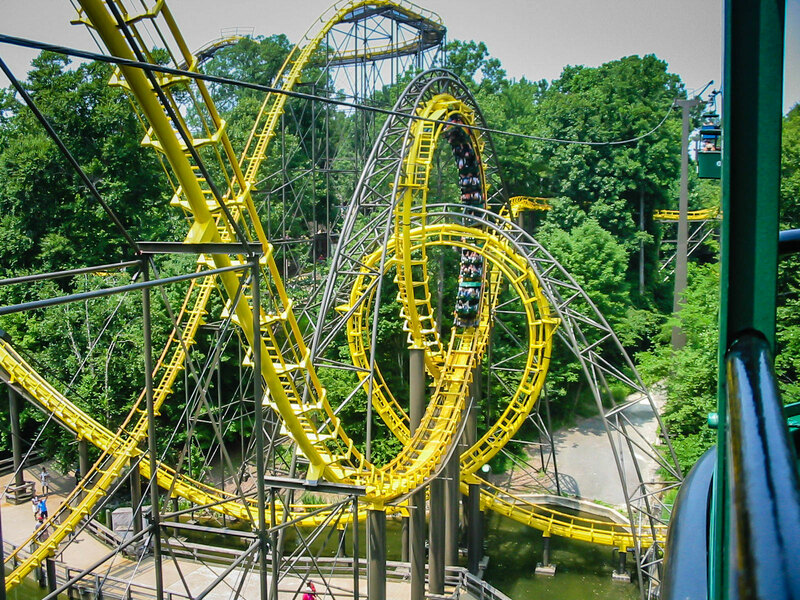 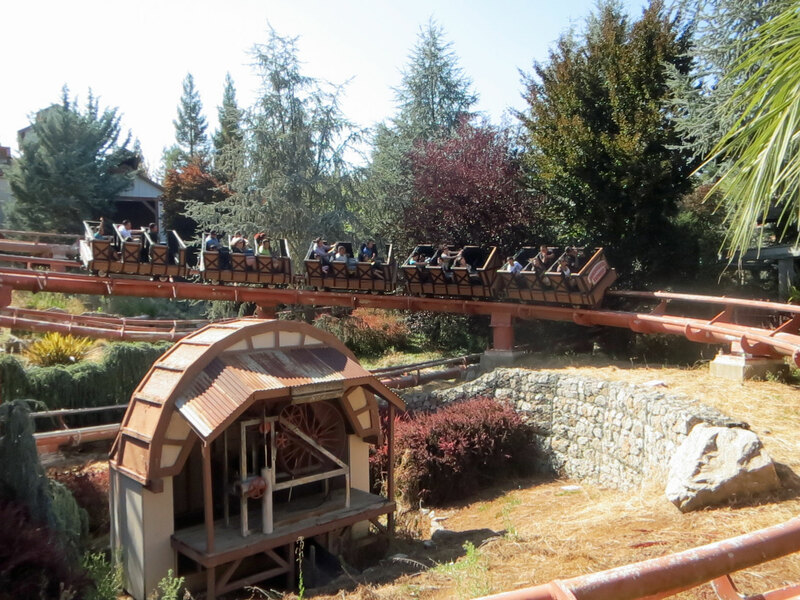 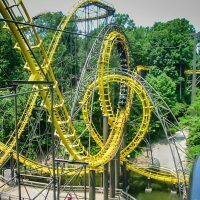 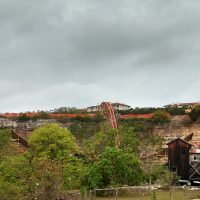 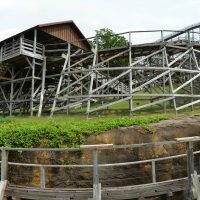 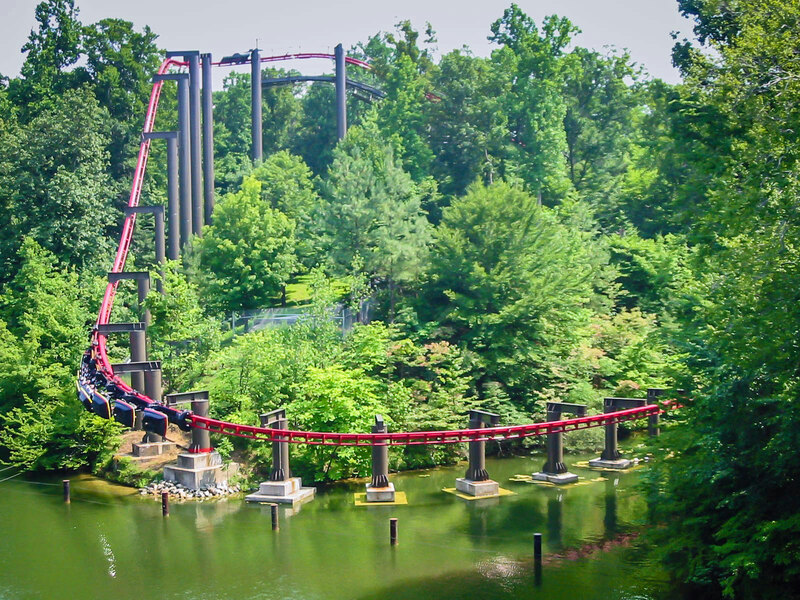 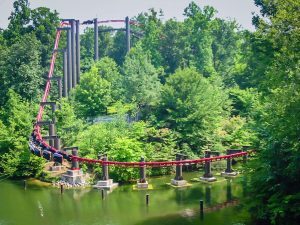 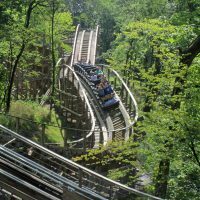 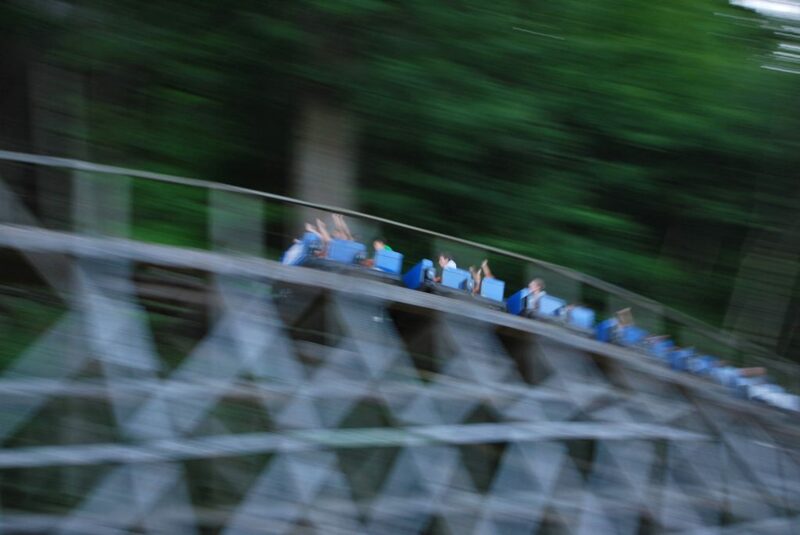 Most Arrow Dynamics Suspended Coasters make use of the surrounding terrain due to the coaster’s design. 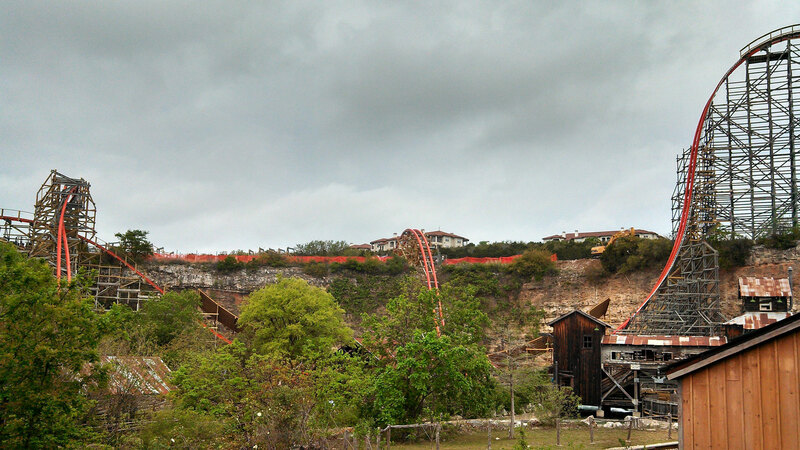 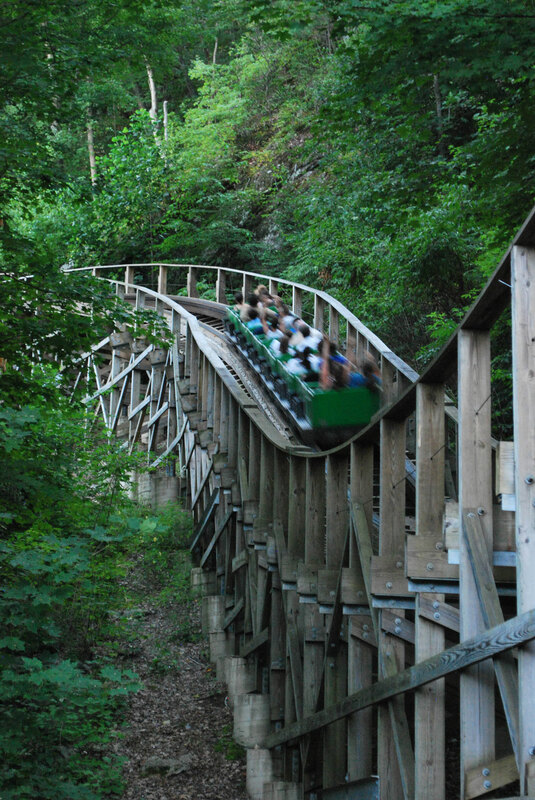 The same goes for Mine Trains, while others take advantage of the terrain simply because they are built on hillsides. 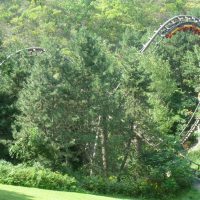 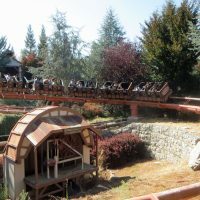 Then there’s Nemesis at Alton Towers in the UK, where the surrounding area had to be terra-formed to accommodate the B&M Inverted Coaster due to zoning restrictions.